Serviced office space is available at a new business centre in Charlton SE7. 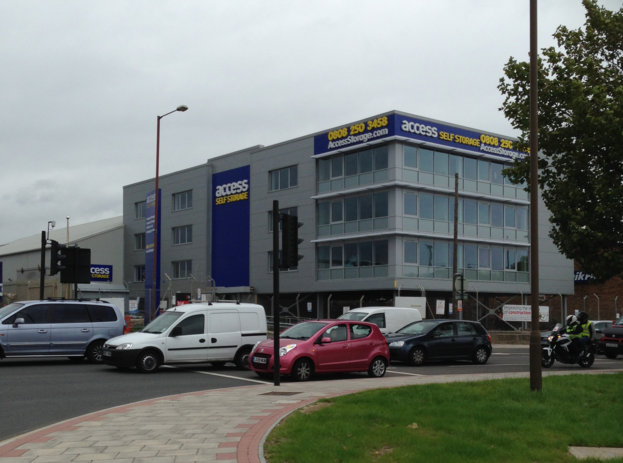 Access Self Storage is a large storage facility on the Meridian Trading Estate on Bugsby Road, Charlton. As well as self storage, the facility also offers flexible office space in a range of sizes. It's especially convenient for businesses that need office space with close proximity to storage areas for stock etc. Whether it's a single desk or a large space required, these serviced offices are well located in London SE7. Some of the advantages of office space includes air conditioning, meeting rooms, 24 hour access, 24 hour security, and kitchen facilities. For more information, complete this enquiry form and mention Charlton office space in the "additional info" field.